The National Arts Centre (NAC) raised its curtains for the first time in 1969. 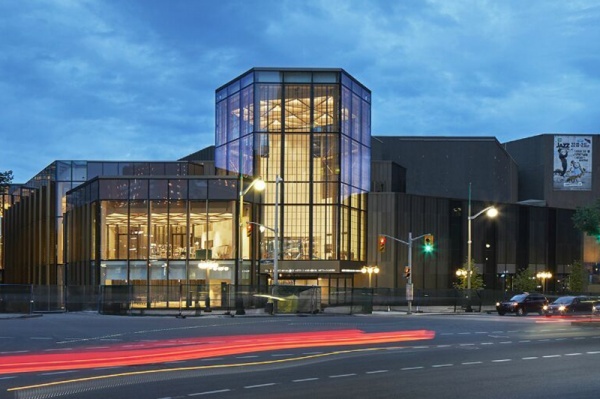 Created by the Parliament of Canada as a Centennial project during the 1960s, the NAC has become Canada's foremost showcase for the performing arts. Today, the NAC works with countless artists, both emerging and established, from across Canada and around the world, and collaborates with scores of other arts organizations across the country. The NAC is strongly committed to being a leader and innovator in each of the performing arts fields in which it works - classical music, English theatre, French theatre, dance, variety, and community programming. It is at the forefront of youth and educational activities, supporting programmes for young and emerging artists and programmes for young audiences, and producing resources and study materials for teachers. 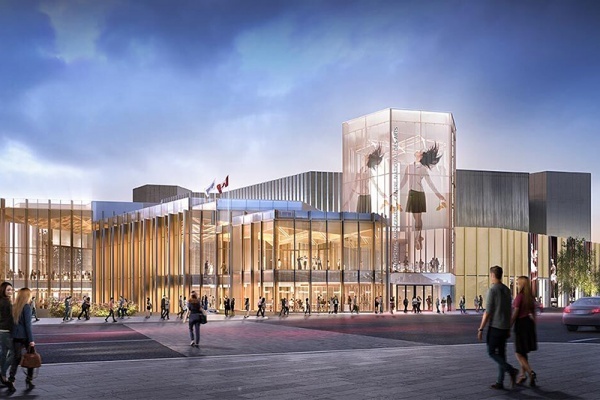 The NAC is the only multidisciplinary, bilingual performing arts centre in North America, and one of the largest in the world. From Highway 417 heading East and West: take the Nicholas Street exit; at the first set of traffic lights, turn left onto Laurier Avenue; at the second set of lights, turn right onto Elgin Street; there is an entrance to the underground parking facilities of the National Arts Centre on your right, before the Mackenzie King Bridge (exactly at the corner of Slater and Elgin Streets); There is another entrance to the underground parking facilities of the National Arts Centre if you continue north on Elgin one more traffic light and turn left on Albert Street, the entrance is immediately on your right; the main entrance to the National Arts Centre’s Main Foyer is after Albert Street, opposite Queen Street, named Lawrence Freiman lane, turn right and go down the ramp; The underground parking facilities are also accessible at the end of Lawrence Freiman Lane, near the Stage Door. Note: Queen Elizabeth Driveway is one way southbound and should not be used to access the parking facilities. Delivery vehicles and vehicles over 3.25m (10' 8") in height are exempt and must use Queen Elizabeth Drive. Caution should be exercised when using this approach due to the possibility of encountering on-coming traffic. take Mackenzie Avenue; turn right onto Wellington Street; at the second set of traffic lights, turn left onto Elgin Street; at the first set of lights, you may turn left on Lawrence Freiman Lane towards the Main Foyer entrance of the National Arts Centre OR continue on Elgin Street south and turn right at the second set of lights to enter the underground parking facilities from Albert Street (immediately around the corner of Albert and Elgin); The underground parking facilities are also accessible at the third traffic light at Slater Street, corner of Slater and Elgin Streets. take King Edward Avenue; turn right onto Rideau Street (Rideau St. becomes Wellington St.); turn left onto Elgin Street; at the first set of lights, you may turn left on Lawrence Freiman Lane towards the Main Foyer entrance of the National Arts Centre OR continue on Elgin Street south and turn right at the second set of lights to enter the underground parking facilities from Albert Street (immediately around the corner of Albert and Elgin); The underground parking facilities are also accessible at the third traffic light at Slater Street, corner of Slater and Elgin Streets. Turn right on Albert Street (Albert is one-way street west); at the second set of traffic lights, turn left on O’Connor Street south; at the intersection of O’Connor and Catherine Streets, you will see the Highway 417 (or Queensway) signs, East and West. The underground parking entrances are located on Elgin (at corner of Slater) and on Albert Street. Sunday: Open 2 hours before curtain until the end of the last performance. Nearby hotels include the Lord Elgin which is located diagonally across Elgin St. from the NAC and The Bostonian which is located in downtown Ottawa on MacLaren near O'Connor. The NAC is a barrier-free environment accessible to the disabled. All NAC halls have accessible areas. Special tickets are available for those patrons in wheelchairs. If a patron remains in his/her wheelchair for a performance, they will be sold a ticket in a specific wheelchair location and the ticket price will be that of the least expensive ticket in the hall. If a patron in a wheelchair wishes to transfer from the wheelchair to an actual seat, they will be sold a ticket at the regular price. The customer must also advise House Management in advance if he/she will require special assistance from the ushers on the night of the show. New, improved and available now! Available at the Theatre Coat Check on a complimentary, first-come, first-served basis. We gratefully acknowledge the support of Harvey and Louise Glatt for making this system possible.